What's New (Bonus): Captions for all the lectures! This Computer Network Course will teach all the fundamentals about Computer Networking; From explaining Computer Networks basics, communication models and detailed lectures on Layers of a network. This course has illustrative and animated diagrams to help you understand the concepts in an easier way. From solving network related problems to discussing applications of these concepts, we have covered the practical aspects of networking. Plus you get our newly added bonus section on Wireshark Packet Analyzer Tool! The 20th Century has all been about information gathering, processing and distribution. In the past few decades, the world has seen tremendous growth in these fields, from telephone networks to radio and television, from highly centralized huge computers to the smart-phones and smart-watches of today. The internet has been instrumental in connecting this world together, to billions of people and millions of devices. And this trend will keep growing rapidly throughout the 21st century too! With thousands of businesses and millions of devices using networking for operations, Computing Networking is one of the most essential fields for study for any IT aspirant. The internet revolution has made it virtually the most essential domain knowledge to possess for everyone today. Overview: This section introduces you to the course, provides information about the author, course structure and gives you answers to some of the frequently asked questions by students. Network basics: This section provides fundamental information on computer networks. Network topologies, different types of networks like LAN, WAN, MAN and wireless networks are explained. One of the most important communication model of computer networks, the OSI Reference Model is discussed. Having the knowledge on OSI Model helps in understanding network functionalities better. Physical Layer: This section deals with techniques like Switching and Multiplexing which focus on effectively utilizing the existing bandwidth to accommodate the high rate of data communication. Datalink Layer: This section begins with a lecture on framing, a technique to demarcate the frame boundaries. Later we discuss the flow and error control mechanisms, different error detection and correction techniques like Parity Check, Checksum, CRC and Hamming Codes. Network Layer: In this section header formats of IPv4 and IPv6 datagrams are explained. Transport Layer: This section explains the Transport Layer protocols that provide service to the Network Layer. Header format, features and services provided by TCP and UDP are explained. Application Layer: This section begins with Cryptography basics, private key encryption and public key encryption. 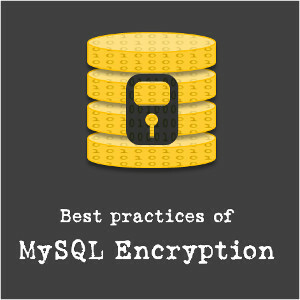 Encryption algorithms like RSA are explained with examples. Also, File Transfer Protocol is explained. Bonus - Wireshark Packet Analyzer Tool(Worth $49): Wireshark is the most popular network packet capture and analyzing tool. This section will provide you Wireshark basics like what is Wireshark, Wireshark Installation Setup (windows), Capturing and Analyzing packets with Wireshark Tool. Bonus - Audio Transcripts (Worth $49): Download the audios of all the lectures and listen to them whenever you can, so that your brain creates visual representation of the concepts and helps you cement this concepts in your mind! Bonus - Course Completion Bonus: Complete the course and get huge discounts on our other courses! This bonus will help you save 100s of Dollars on our other courses. Don't miss this one! So Dive into the world of computer networks, and gain all the fundamental knowledge required to pursue your career in computer networking domain.